How to understand and deal with the deep causes of work-life balance problems. Long working hours, travel and ever-evolving gadgets connecting us to an always-on world leave many people sapped of energy and far too tired. Families and friends often get the dregs of lives worn out by work. Financial anxiety is the padlock that keeps us trapped. Sometimes we wonder whether we are in God's will and what the long-term legacy of our life will be. Work-life balance problems? Paul Valler has been there. 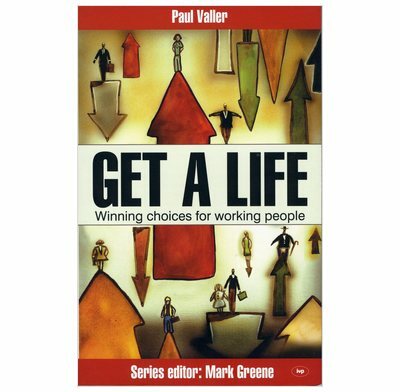 Based on firsthand experience of a pressurized life Paul digs deep to uncover the root cause of our symptoms and shows how gaining a strong identity and clear purpose enables us to make winning choices. Bite-sized chapters and thoughtful questions make it possible for even the most committed workaholic to get a life. 1. Introduction – is this your life? 4. Who do you think you are? 11. Who can I trust? 20. What do you really want? 23. Why am I here?